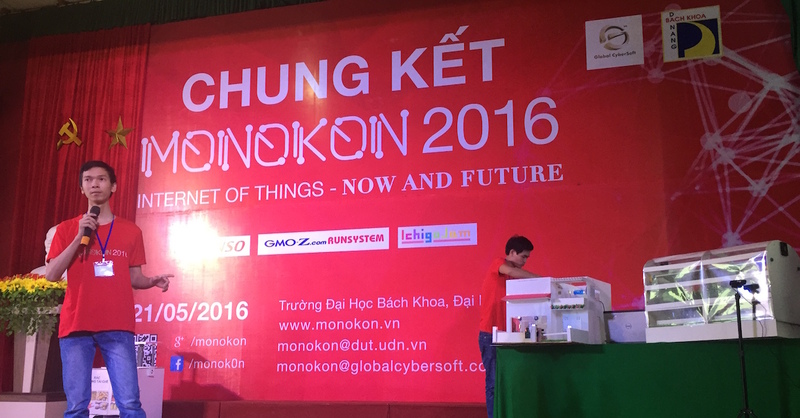 BASIC with Open Data at Contest of IoT "MONOKON2016"
First MONOKON was held in Da Nang, Vietnam. 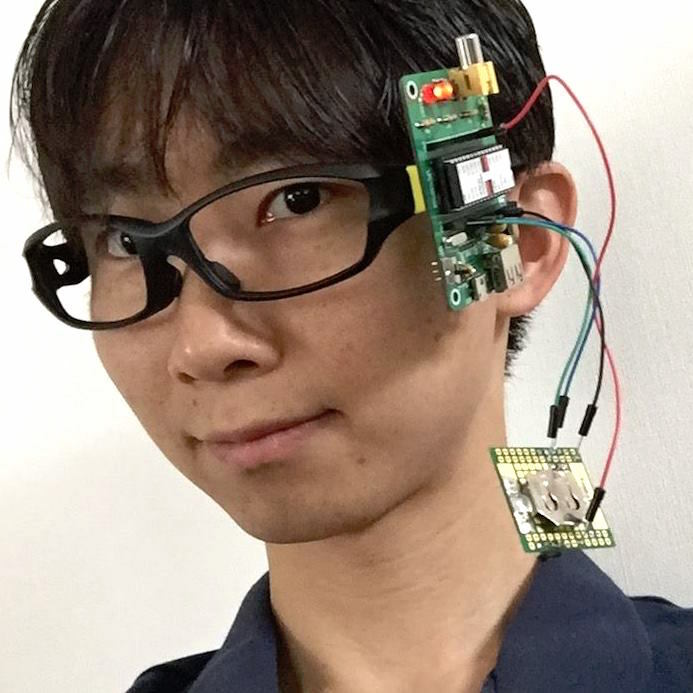 They made "LoRen" the arm wearable device and searching system for troubles in the sea by using new wireless technology LoRa and Web application. This is that LoRen's arm wearable device, 3D printed, a LoRa transmittor in it! 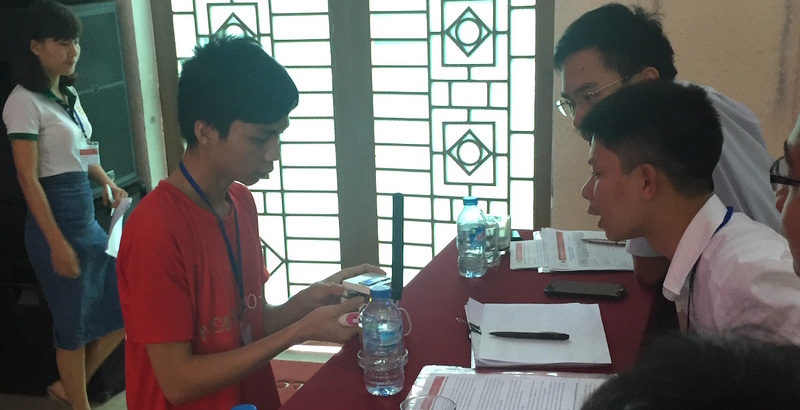 I listened 8 finalist team's presentation and demo: smart home, bin, meter, bus, aggri, user interface and SOS. All of demo products works! I impressed their hot creator split!! My keynote speech was "BASIC IoT with Open Data". I'm a evangelist of Open Data in Japan, Open Data helps you to create things from your idea! Open Data is free to use Data on the Web. Now almost of data is protected by copy rights. 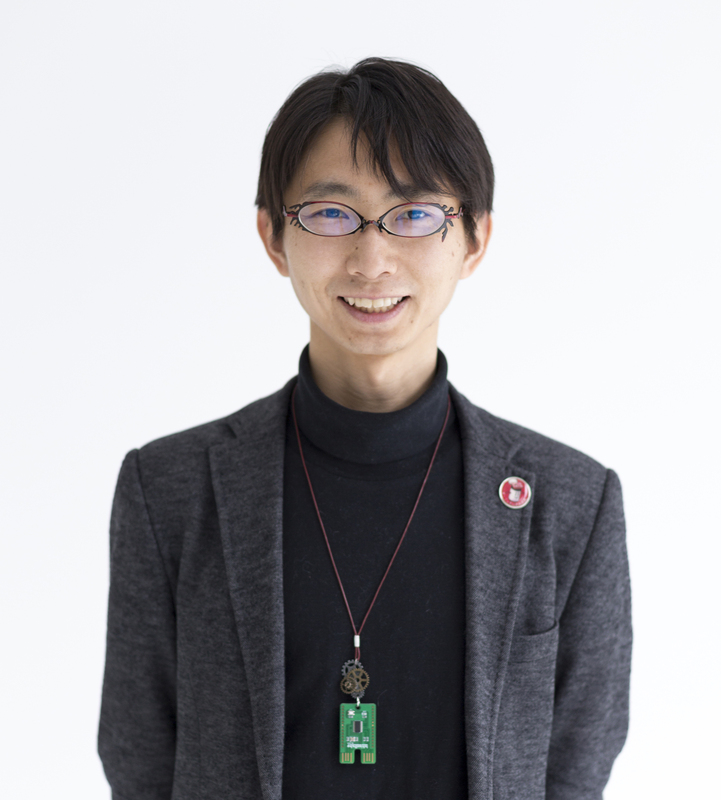 But Open Data is opened by it's author, so you can use it freely! 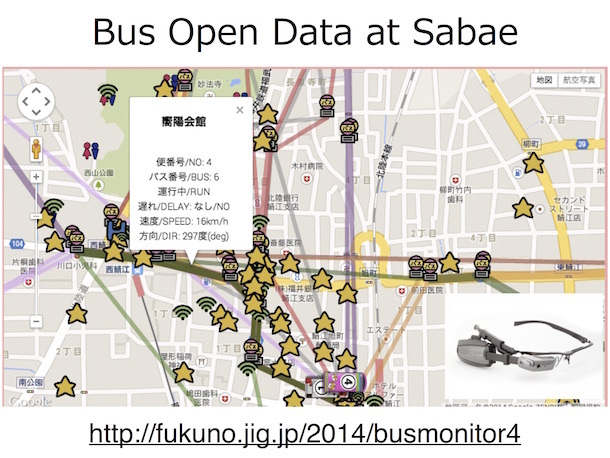 This is demo of using Bus realtime Open Data in Sabae city, my home town in Japan. All of buses in Sabae opened their GPS position every 3 seconds! This applictation runs on Web, so you can test your smartphones. 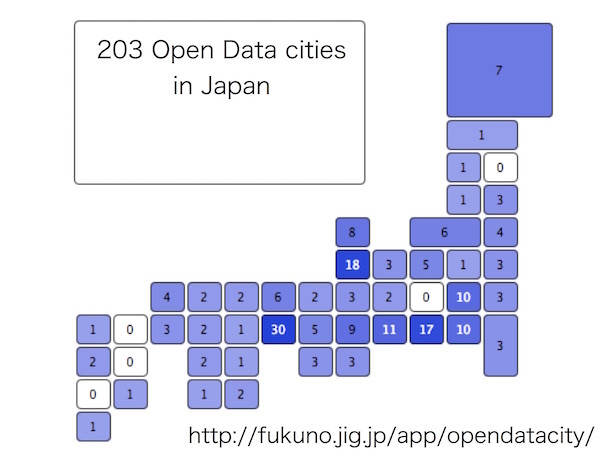 "Open Data cities in Japan"
203 cities in Japan opened their data. 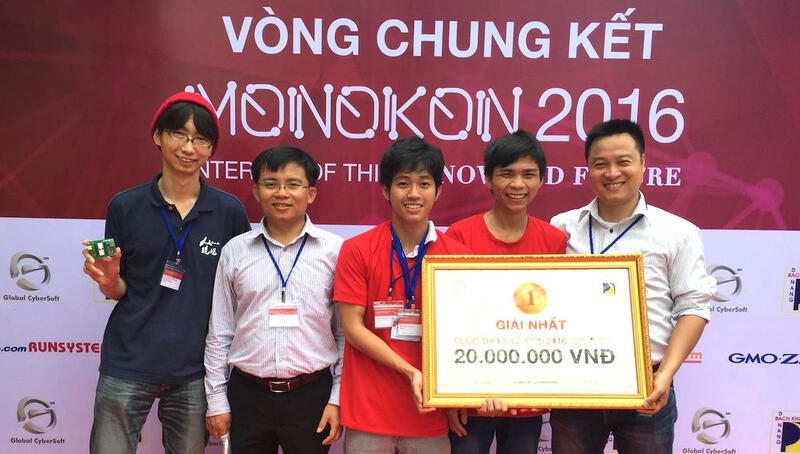 I hope to connect Japan and Vietnam by Open Data. 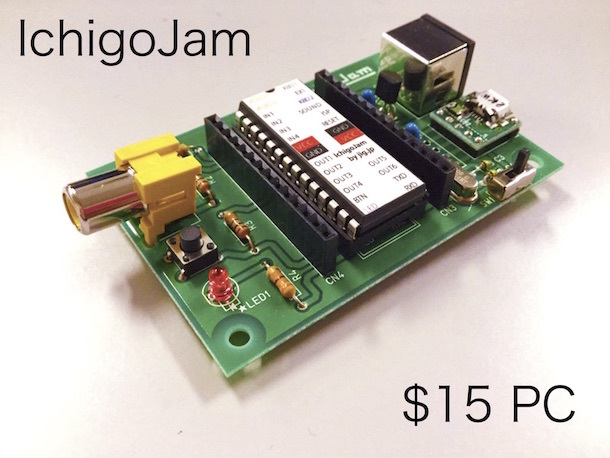 I invented "IchigoJam" $15 computer for education of programming. But it's also good at IoT devices because it's easy to program and low power consumption. 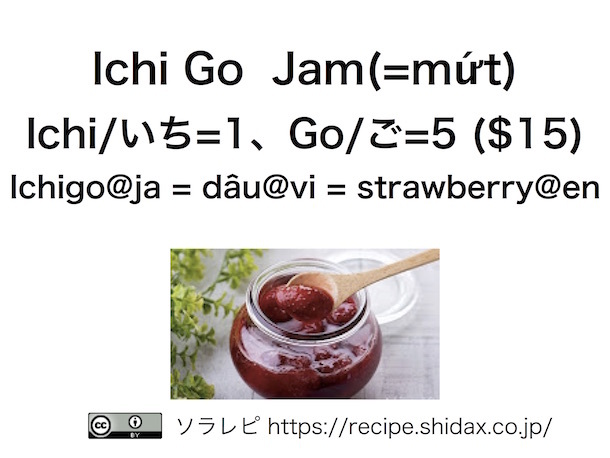 Ichigo($15 computer) means strawberry (dâu@vi) and Ichi = 1, Go = 5 in Japanese. To light up the LED, you just type 5 keys! This is program to blink the LED. This is program to learn numbers in Japanese. First of all, don't think, just type! 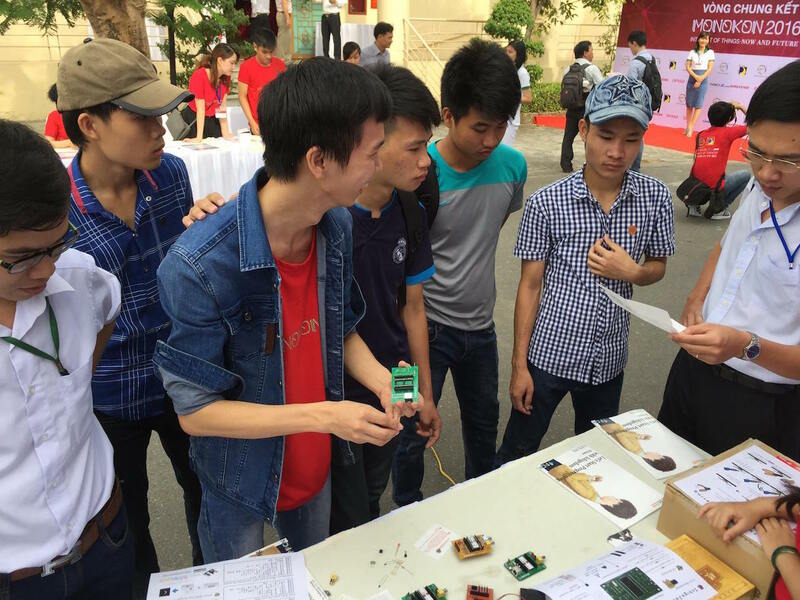 I'm glad to get many attentions from students of Vietnam university! I presented "IchigoJam self-assembly kit" to MONOKON2016 finalist members. I'm happy to get a making report from a student!! Thank you MONOKON2016! Thank you Da Nang! 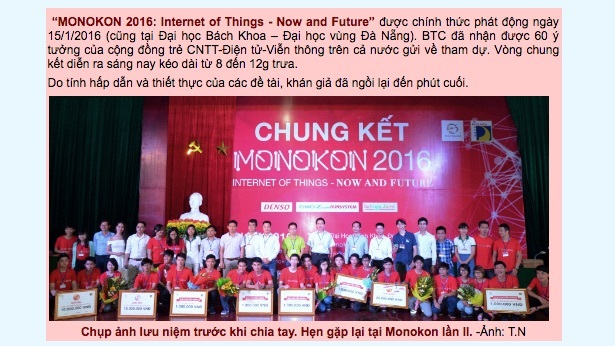 "Sáng nay tại Đà Nẵng, chung kết toàn quốc Monokon-2016: Đề tài chế tạo thiết bị công nghệ bảo vệ ngư dân, bảo vệ chủ quyền giành giải Nhất"
"Đại học CNTT TP.HCM đăng quang cuộc thi Monokon 2016 - PC World VN"
"Thiết bị công nghệ cứu nạn ngư dân giành giải nhất cuộc thi Monokon 2016 | ICTNEWS - Tin nhanh công nghệ thông tin và truyền thông"
"Xem phim nảy ý tưởng hỗ trợ người bại liệt - Tuổi Trẻ Online"